Conversations with AlienVault, AppRiver, Barracuda MSP, Cisco, Datto, eFolder, Infrascale, Ingram Micro, IT Glue, Pax8, VIPRE Security, Webroot & more. The IT Nation 2017 conference, hosted by ConnectWise, wrapped up on November 10. But our coverage of the gathering — which attracted 3,500 attendees — continues. Here’s a recap of our formal meetings, impromptu conversations, chatter from the conference floor, and backroom conversations. AlienVault already has a healthy next-generation security business in the enterprise. But to reach MSPs in the SMB sector, the company integrated with ConnectWise. The big benefit: ConnectWise’s software essentially manages the federation of AlienVault services across multiple SMB customer settings. MSPs, in turn, can more easily deploy and manage the AlienVault offering. AppRiver is one of the world’s largest Office 365 partners – helping MSPs to wrap additional IT services around Microsoft’s SaaS suite. A new AppRiver-ConnectWise integration surfaced at the show. And new private equity ownership should fuel additional AppRiver growth. We ran into multiple Arctic Wolf team members at the conference. The company offers a Security Operations Center (SOC) as a service to MSPs. A ConnectWise integration surfaced at the event, and new SaaS-oriented offerings also debuted during the week. MSPs know Barracuda best for the Intronis acquisition in 2015. Fast forward to present day and Intronis has been rebranded as Barracuda MSP. But that’s only part pf the story. The overall Barracuda MSP portfolio is now a category of solutions rather than a specific backup point product, notes Bradbury. Organic R&D along with tuck-in acquisitions also continue. A new integration with ConnectWise Automate surfaced, and an acquisition (involving Sonian) further bolsters Barracuda’s data protection story for Office 365. Sonian is an email archiving solution that’s popular with OEMs. 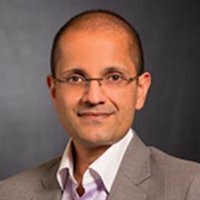 Sheth, during a media Q&A with ConnectWise CEO Arnie Bellini, vowed to ensure Cisco demonstrates a strong commitment to MSPs in the SMB sector. We’ll share some video footage of the interview in the days ahead. Cisco and ConnectWise, by the way, announced their formalized partnership earlier this month at Cisco Partner Summit. Bellini’s keynote focused on successful team building within technology solutions providers (TSPs). Plus, some updates on the overall ConnectWise business strategy. Here’s a complete recap. ConnectWise Unite, a new, single management dashboard for on-premises and cloud services. Multiple Cisco applications and Amazon AWS services are plugging in now. The ConnectWise CloudConsole integrations (Office 365, Azure) will be rebranded into Unite around Q1 2018. Unite Software Development Kit, which just started beta testing. The kit will allow additional partners to plug into the dashboard. The kit goes “beyond anything Salesforce has done” because partners can embed pieces of the ConnectWise suite in their applications, Bellini asserts. ConnectWise Invent, a $10 million incubator fund for ISVs and others that want to integrate with the dashboard. The company plans to share more details about the fund in the weeks and months ahead. It could grow to a potential $25 million, Bellini says. ConnectWise Marketplace, an online store where integrated Unite offerings will surface. Peter Bellini: The ecosystem effort also includes another Bellini name. Indeed, Peter Bellini – Arnie’s son – has been driving the Connectwise Unite software development team and will also oversee the SDK effort. Much of the initiative has involved Peter Bellini moving to India. ConnectWise has made multiple acquisitions and investments since 2010. Those assets were reorganized into a single corporate umbrella by late 2015. Fast forward to present day, and the company has standardized on an Agile software development model that means bugs are typically fixed within 90 day windows, and R&D is closely coordinated across ConnectWise Sell (formerly Quosal), Manage (PSA), Automate (RMM) and Control. The big focus areas for 2018 include ConnectWise Unite, which essentially rebrands ConnectWise CloudConsole to manage on-premises and cloud assets like various Cisco services, Microsoft Office 365, Azure, Amazon Web Services and more. Also, a ConnectWise Unite software development kit will allow third-party technology companies to plug their services into the dashboard. The result should be a stronger ecosystem of services for MSPs and technology solutions providers, Fulton asserts. In some ways, ConnectWise was late to the international market. Multiple rivals broke ground in Europe and Australia before ConnectWise really planted its business flag across the globe. David Bellini shifted to an international role and moved to London back around 2015. The results have been impressive. That London office has grown from four to 44 employees. ConnectWise now has 1,600 partners outside of the U.S. market, with growing momentum in such areas as the Benelux and the Nordics, and Australia. Next Up: IT Nation Europe, which is set for April 18-20 in London. The high-profile Datto-Autotask merger is expected to be finalized later this quarter. But during this meeting with Rae and Gassman, we didn’t discuss the M&A deal. Instead, we covered yada, yada, yada. Hmmm… Maybe I’ll share details at a future date.